Anne Latreille is a Melbourne-based author and journalist specializing in gardens, landscape and the environment. 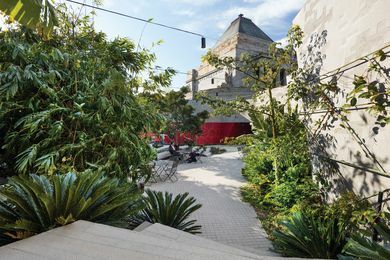 Planting design for the courtyards at the Shrine of Remembrance, Melbourne subtly evokes Pacific and South-East Asian theatres of service, sacrifice and peacekeeping. 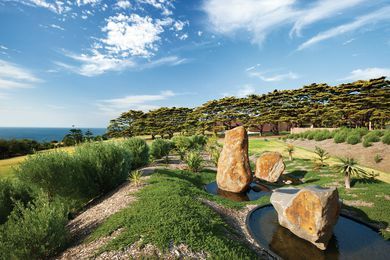 An artful composition by landscape architects Sinatra Murphy on Victoria’s Mornington Peninsula.